The Sony Xperia line consists great smartphones that are steadily gaining popularity and good reputation among consumers. Since its demand is increasing, network service provider are buying more units from manufacturers so that they can lock the devices with their plans. If you have purchased a Sony Xperia device from a carrier, then most likely your phone is locked on that carrier network. If you are satisfied with the carrier's service and monthly fee, you don't have any issues with the sim lock. But what if you need to go aboard or are planning to use another more cheaper network service? That's when the problem comes. Due to these disadvantages, many users are looking for ways to unlock their Sony Xperia. Fortunately, we have found the top four sony xperia unlock code generators, to help you sim unlock Sony Xperia device easily with code. The first Sony Xperia unlock code generator is SIM Unlok Service, which is introduced by Wondershare dr.fone toolkit. It works perfectly for SIM unlocking thousands of Android and iOS devices. It helps you sim unlock the Sony Xperia device permanently and you can use it on any carrier provider in the world. Most importantly, this method does not void your phone's warranty. Here is how to use SIM Unlock Service to unlock Sony Xperia. Step 1. 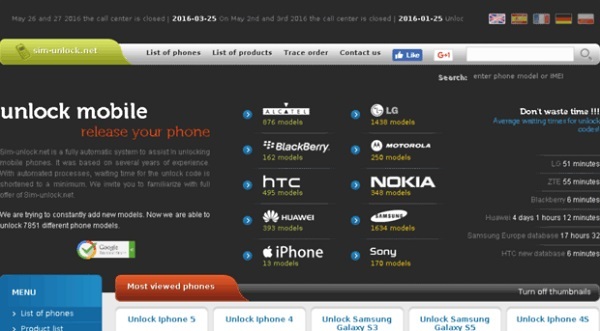 Visit SIM Unlock Service official website and click on Select Your Phone. Then select your phone brand among all the famous smartphone brands. Step 2. On the following webpage, fill in your phone model, IMEI number and your contact information, and then process the order. Step 3. The system will then send you the unlock code and instruction to sim unlock your phone. There is no technical skills required for the whole unlocking process. UnlockSimPhone.com is a hybrid of various locking solutions, apps and other tools---it is a one-stop solution centre for many of your device-related issues. 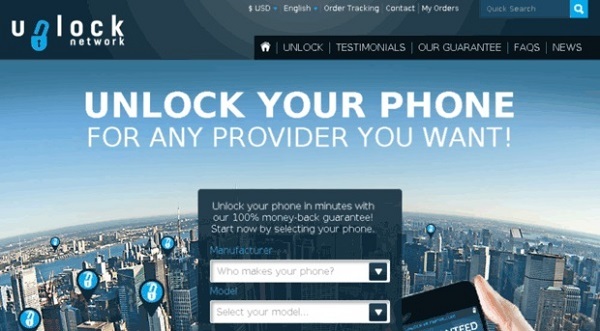 Instead of paying your carrier a fee for the unlocking code, you can use this software for free. The website calculates and generates an unlocking code based on your Sony Xperia's IMEI number within a few minutes. The unlocking process is safe, simple and 100% effective regardless of the carrier you are with. Remove your SIM card from your Sony Xperia and connect your mobile device to your computer. If you have not done it yet, enable USB debugging on your device. Click the Check connection button once. Turn off your device once you see the OK message and disconnect your phone from your computer. Press down the Back key while re-establishing the connection. Install all the prompted drivers. Release the Back key when you see the phone's information on the screen. sim-unlock.net is a fully automated system that helps users unlock a wide range of mobile devices. Since everything is automated, the process of getting the unlock code is fast and efficient. The Sony Ericsson unlock code generator is constantly updated with a list of compatible devices so if you need to use it again in the future, you can rely on this website to be there for you. Check the code counter and make sure that the number beside Network is not 0. You will not get to use this website if it is "0". After checking, find your Sony Xperia model and click the Unlock button. Click the Unlock Sony Xperia [Model] button. From the dropdown menu, choose your network. Choose the product that most fit you and click the Order button. Key in your device's IMEI number and click the Make Order button. Follow the payment instructions and wait for the unlock code. Insert your new SIM card and key in the code when prompted. Unlock Network is a simple website that will provide you with an effective unlock code. Its Sony unlock code generator is easy to follow---it even has a step-by-step outline of the whole process. It is also one of the most affordable and only take several minutes to generate the unlock code. Select the Sony Xperia model by searching for it using the drop-down menu. Click the Next button to proceed to the next step. From the drop-down menu, select your Country and Network. If you do not know the name of your original provider or cannot find it on the list, check the check box next to I don't know the name of the original network provider / Can't find it . Click the Next button. You will then be able to see how much would the cost be. Complete all the information fields needed i.e. IMEI, name and email. Click the Order Now button. Follow the payment instructions and wait for the email that contains the generated unlock code. Insert the new SIM card into your Sony Xperia and key in the unlock code when prompted. Will you be breaching your contract with you network service provider? Do you know how many attempts you get to key the unlocking code? Remember that you can only successfully use these generated unlock codes if your contract with your network service provider has ended. If it has not, it is best to approach them to pay any contract termination fees and unlock code charges (if any). You would also need to know how many times you can key in the unlock codes so that you do not accidentally lock yourself out of your Sony Xperia forever. If it is hard locked, again, your only choice is to see someone from your network service provider to get your Sony Xperia unlocked. In short, checking with your network service provider and if you can actually unlock your device before performing or purchasing anything to unlock your Sony Xperia is extremely important. This is to avoid ending up behind bars or locked out from your device. These are some of the better Sony unlock code generators but if you have others that are proven to be effective, do let us know!